Women in Business: Power UP Your Business – 10 Resolutions for the New Year! The New Year offers a clean slate and a time to reflect on the changes you want or need to enhance your business. Take some time to look at the successes and failures of your life over the past year. 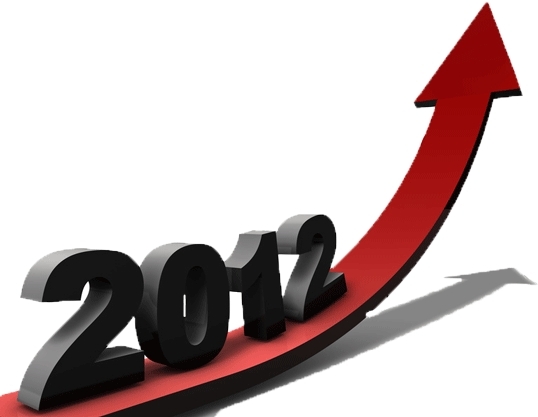 Have you considered what changes you want to implement for 2012? Here are 10 resolutions to Power UP your Business for the New Year! This is extremely important for the health of your business. As a new or growing business, you need to be diligent about your finances. The NUMBER ONE reason that businesses fail is due to lack of control over finances. Some experts suggest reviewing your profit and loss statements, balance sheets and cash flow reports on a monthly basis. To manage this, there is accounting software such as QuickBooks specifically for small businesses. Also, hiring a CPA or bookkeeper can be a wise investment. This is crucial to controlling your monthly expenses. By creating a budget, forces you to examine your income and expenditures to track how much money you make and spend. Of course your living expenses, i.e., mortgage, utilities, vehicles, insurance payments and food are a must, but additional payments should be allocated to pay off bad debt. HomeBudget is an expense tracker designed to help you budget, track and control your monthly expenses at home. Moneytrackin is a free online web application that allows you to track all your expenses and income easily and without effort, thus allowing you to have a clear view of your financial situation. It intends to be a simple yet powerful online budget management tool. MySpendingPlan is an online tool that provides consumers with the latest tools to help them manage their personal finances track their budgets, save money and keep up on the latest information about managing money and leading a better financial life. Easy to say, difficult to do! According to some experts, Americans charge over one trillion dollars per year using Visa, MasterCard, American Express and Discover. For many, money is a big source of stress; and it doesn’t help that we’ve had to deal with economic issues over the past few years. This coming year, make it a priority to resolve your money woes. By scheduling your time based on your goals, you can assess if your goals truly align with the core values, both professionally and personally. If you find that your goals are out of align, then you are able to identify key areas that need adjusting before they get out of control. As your business grows, so should your ‘tight grip’ on controlling every aspect of it. The worst thing that you can do is become a slave to your business. This attitude can cripple you! I know this first hand; as a former owner of a building maintenance company; I was president, HR generalist, payroll specialist, trainer, janitor, sales woman and more! It took me a while to realize that not only could I not effectively wear every hat, but in order to grow and regain my sanity, I had to trust others. It is important that you delegate non-core business tasks to your staff or consider outsourcing. Play on the strengths of others. The lack of delegation will stifle your growth, or worse, cause you to run your business and yourself into a pit fall. If you don’t accomplish all the tasks from your ‘to do’ list, it doesn’t mean you are having problems managing your time. It simply means that you only have limited time per day to get everything done and you may be trying to accomplish more tasks than you have time in the day. To manage and prioritize my time, I rely on Microsoft Outlook’s calendar and task manager to plan my personal and business schedule. I then sync Microsoft Outlook to my I Phone. This helps me to stay on task and set priorities for my daily activities. Find what works for you and make it a daily habit to have a productive and organized day! A successful way to promote your business is through networking. You are in business to grow, so make networking a key part of your marketing strategy so that you position yourself to connect with the right people. Networking is a lifestyle in which you need to incorporate onto your “To Do” list. By networking, you are developing your social skills by engaging or interacting in an informal gathering to communicate with others for mutual assistance or support. By acquainting yourself with other business owners or executives, you are building meaningful relationships. There are many organizations that you can become involved in such as the Chamber of Commerce, Business Network International (BNI), online communities or a professional organization related to your industry. An important reason we go into business is the idea of being flexible with our time. So, the idea of having time for family and friends seems like it should be a no-brainer, right? According to recent polls conducted by General Nutrition Centers, Quicken, and others shows that more than 50% of Americans vow to appreciate loved ones and spend more time with family and friends this year. You have control over your time, so make sure that you balance work and life to be able to spend it with those that are important to you. Don’t waste your time or invest any unnecessary energy nursing something that isn’t working for your business. Time = Money and in our current economic crisis, both are a very precious commodity that a small business can’t afford to gamble with. Move on and don’t look back! By incorporating these simple yet effective strategies, you can position your business for significant growth. Here’s looking at a great 2012! WANT TO USE THIS ARTICLE IN YOUR E-ZINE OR WEB SITE? You can, as long as you include this complete blurb with it: Sylvia Browder is founder of National Association Women on the Rise, a virtual community for aspiring and established women entrepreneurs. The association’s mission is to provide professional and personal resources while uplifting and empowering women entrepreneurs through collaboration, education, mentoring, spiritual and peer support, leadership and networking. She has served as an online volunteer SCORE counselor since 2004. For FREE weekly articles go to Sylvia Browder’s Blog for Women Entrepreneurs, www.sylviabrowder.com. She can be contacted at info@nawomenrise.com. Reading: Women in Business: Power UP Your Business – 10 Resolutions for the New Year!